Petite jars come with 5 grams of paint. Authentic Reborn eyebrow premixes give you the ability to create eyebrows that are barely there without any thinner or mixing. This effect is achieved with exclusive Authentic Reborn transparency. This makes it possible to have brown eyebrows yet delicately light in color. Keep your baby from having dark eyebrows. 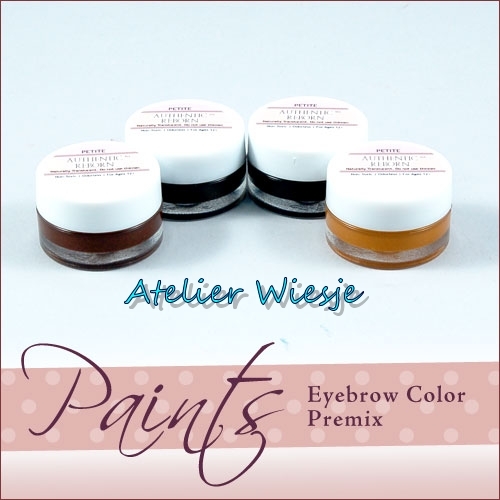 Use premixed eyebrow paint for the greatest realism in your newborn creation.